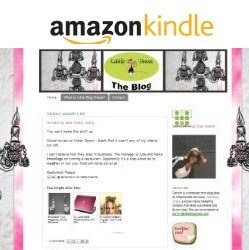 With 4th of July right around the corner it is time to start planning the ultimate celebration. While most summer parties feature the standard selection of drinks, why not make sure all of your guests can enjoy themselves while still maintaining their beach bods? By mixing up the below cocktails from SMIRNOFF Sorbet Light, you’ll add a fresh twist to these simple-to-serve cocktail recipes without adding tons of calories! With only 78 calories per 1.5 oz. serving, SMIRNOFF Sorbet Light is available in three sorbet-inspired varietals: SMIRNOFF Sorbet Light Lemon, SMIRNOFF Sorbet Light Mango Passion Fruit and SMIRNOFF Sorbet Light Raspberry Pomegranate. 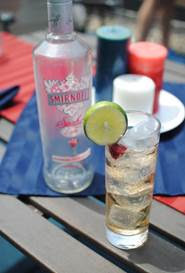 I am a big fan of Smirnoff Sorbet Light fan, low in calories and big on taste! Its guilt free awesomeness. Preparation: Fill Glass with ice. 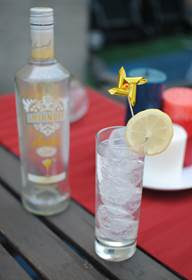 Add SMIRNOFF Sorbet Light Lemon and tonic or soda. Preparation: Fill Glass with ice. 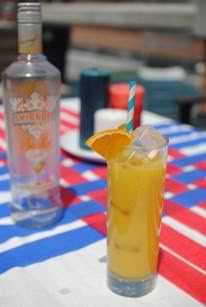 Add SMIRNOFF Sorbet Light Mango Passion Fruit and orange juice. Preparation: Fill Glass with ice. Add SMIRNOFF Sorbet Raspberry Pomegranate and ginger ale.